NEW HAMPSHIRE, USA and KARNATAKA, INDIA – Ferrite Microwave Technologies, LLC (FMT), the premier global provider of 915 MHz industrial microwave systems and 2.45 GHz microwave specialist, Enerzi Microwave Systems Pvt. Ltd., today announce a strategic partnership. Enerzi will use FMT’s high power microwave systems to complement its product portfolio and enable its customer’s access to new industrial solutions. FMT plans to add Enerzi’s portfolio of 2.45 GHz products to compliment our high power offerings to better support our customer base. “We are very excited about the possibilities this partnership will enable. Working with Enerzi, we gain access to a whole category of products and specialized markets that we would not support while acting alone. Our combined business prospects look bright and we look forward to many years of collaborative success.” said Mr. Peter Tibbetts, CEO, FMT. Ferrite Microwave Technologies has two primary business groups, Components & Integrated Assemblies and Industrial Microwave Systems. The Components & Integrated Assemblies division provides products for frequencies from 50 MHz to 50 GHz that handle power levels ranging from 5 W to 50 MW. The Industrial Microwave Systems division produces solutions for tempering, cooking and heating products across a wide range of industries. Ferrite Microwave Technologies supports its products with a team of engineers who continue to push the boundaries of the science and veteran field technicians. 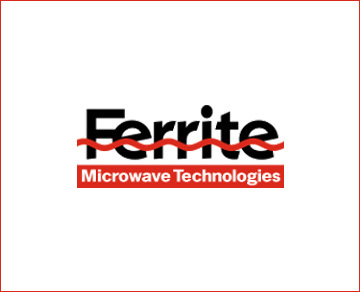 For more than 30 years, we have designed and built the world’s most advanced industrial microwave systems and high power microwave components.For more details see www.ferriteinc.com. Established in 2007, Enerzi Microwave Systems Pvt. Ltd. is the leading brand in manufacturing of industrial Microwave Heating Systems. Enerzi is proud to be India’s pioneering innovator in the application of interdisciplinary engineering knowledge to develop a variety of Microwave Heating applications. Enerzi is playing a leading role to develop and deliver energy conserving, efficient, simple yet effective heating solutions with custom designed products of MICROWAVE & RF OVENS, FURNACES AND TURNKEY SOLUTIONS!. With the experience curtailed from the various initial projects handled &experimental setups built, Enerzi has established a niche market sector to exclusively target a very specific range of clientele. The opportunity to grow, evolve and provide Custom-built products finally led us to the realization of creating a dedicated After Sales Engineering Service and Maintenance with adequate Technical Support. Enerzi has thus began a one of its kind revolution towards reinventing the deliverance and sustenance of Effective Heating, by offering a range of microwave solutions that enable our clients to benefit from the advantage of Industrial Microwave Technology.